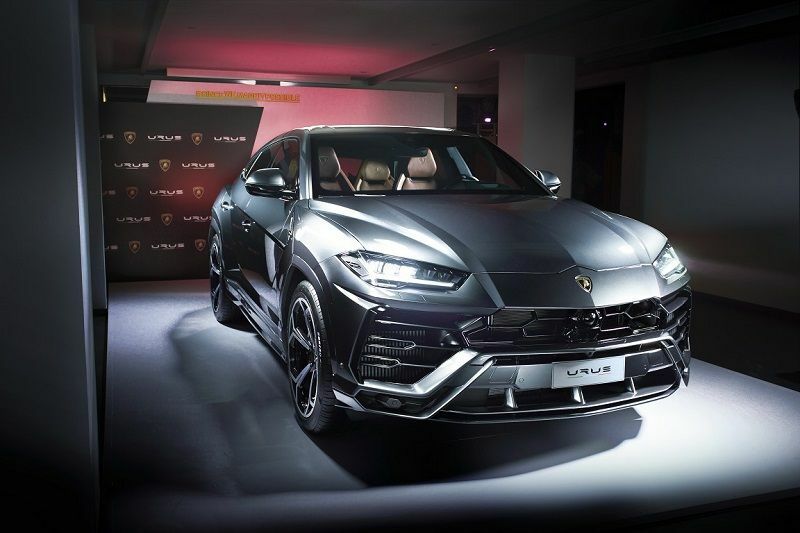 What makes the Urus look different to most SUVs is that it carries the Lamborghini DNA especially in its design, namely the proportions of 2/3 body and 1/3 window. Those who are fans of the LM002 will notice some design cues of the Urus passed down from the LM002 such as the Y-shaped front air intakes and the hexagonal wheel arches. The car looks deceptively small but is, in fact, over five metres long and two metres wide. This is attributable to the low roof line and its distinctive single line silhouette. Its muscular look is accentuated by features such as the large air intakes and the massive 23" wheels. The Urus is not just all about looks but is complemented by a luxurious interior to be enjoyed by the driver and the passengers. With a wheelbase of over three metres, there is ample leg room for all passengers. Certain parts of the interior particularly surrounding the driver were inspired by the LM002 as well as the other current models such as the slim Y design of the dashboard. Music can be enjoyed by a high-end B&O 3D sound system. There are plenty of options to specify the interior trim but the display vehicle at the launch had a special type of tan leather which gave a rustic appearance and beautifully matched the grio exterior. In the rear, there is an option to have a more exclusive two-seat layout instead of the normal bench seat, with independent electrically adjusted seat arrangement. The super "bull" is powered by a 4 litre V8 twin turbo engine which pushes out 650 hp and 850 Nm of torque. It will thrust from 0-100 km/h in a frightening 3.6 seconds on to a top speed of 305 km/h. Despite being an SUV, the superior handling is achieved by a 4WD system with active torque vectoring and 4-wheel steering. There are different driving modes to cater for a multitude of terrain and they are Strada, Terra (off-road), Neva (snow), Sport, Corsa and Sabbia (sand). The massive carbon ceramic brakes are fitted to ensure that the car will stop under heavy braking situations whether on track or at high altitude.